1st Generation Legendary Electric/Flying type Pokemon Zapdos. THIS IS THE BEST PICTURE ON ALL OF DEVIANTART... THE INTERNET. HOW ARE YOU THIS GOOD!!!!!!!!!!!!! You sir are an amazing artist. did you draw jirachi?you should! I LOVE JIRACHI! This art is incredible, and i'd love to submit it to my group. Agreed? awesome! i can tell u did a very good job on this. Zapdos is badass, as usual! 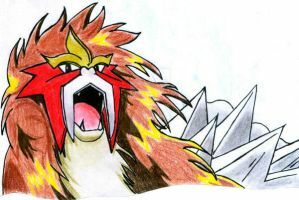 Zapdos is the most AWESOMEST pokemon i have ever seen! I think he can beat arceus reshiram and zekrom anyday!!! GO ZAPDOS!!! Zapdos is awesome, just like Pokémon, and YOU! You know, i can aways tell when you make a pic. most of your pic. of pokemon are in similar positions. But that can be a good thing!! most of your pics are in my faves. so.... i just wanted to say it i guess. LOVE IT! Zapdos is amazing! Good job on this, I like how you made the clouds look that sickly color they get right before a summer storm. This is amazing. I love the clouds! That looks awesome, your colouring style is adorable!